A graduate education is an excellent investment in your future, from which you will gain expanded opportunities, higher earning potential, and the lifelong joy of learning. 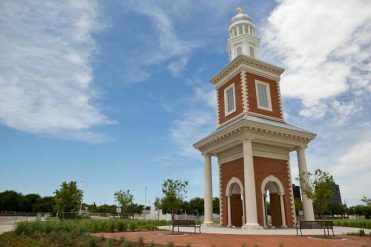 As part of its mission to graduate true leaders of character and integrity, HBU offers a wealth of scholarships, as well as financial aid, to support your education. Tuition and fees are also comparatively low, which helps to make your graduate experience surprisingly affordable. The following scholarships are available for new incoming degree-seeking graduate students who are enrolling in an on-campus program, unless otherwise specified. Your admissions file must be complete, and your scholarship application(s) must be submitted by the dates below to be considered for scholarships. * Guild Scholarship deadline is April 1 and only accepts applications once a year. *Online students are eligible! * Apologetics Merit Scholarship deadline is April 1 and only accepts applications once a year. *Online students are eligible! * William Lane Craig Scholarship deadline is April 1 and only accepts applications once a year. *Online students are eligible! 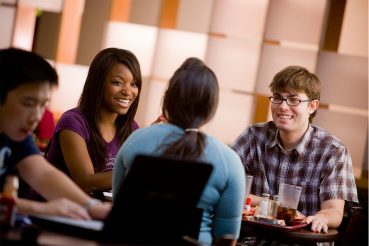 Scholarships are available for each of HBU's Graduate School programs. Select your intended program of study below to review the available scholarship opportunities! GMAT Scholarship GMAT scholarships are available to high-achieving students. You must submit the scholarship application and your test score. GRE Scholarship GRE scholarships are available to high-achieving students. You must submit the scholarship application and your test score. Alumni Scholarship Alumni Scholarships are awarded to all applicants who have earned a previous degree from Houston Baptist University (automatically awarded upon admission to the program). *You must still apply! MS-HRM Scholarship The Master of Science in Human Resources Management program scholarships are awarded to outstanding applicants. To be eligible for scholarship consideration, applicant must submit a scholarship application and an essay. Scholarship recipients will be identified by the Scholarship Selection Committee. MSME Program Scholarship The Master of Science in Management & Entrepreneurship program scholarships are awarded to outstanding applicants. To be eligible for scholarship consideration, applicant must submit a scholarship application and an essay. Scholarship recipients will be identified by the Scholarship Selection Committee. Program Scholarship These program scholarships are awarded to outstanding applicants. To be eligible for scholarship consideration, applicants must submit a scholarship application and an essay. Scholarship recipients will be identified by the Scholarship Selection Committee. The Guild Scholarship Deadline: April 1st! The Guild Committee awards scholarships to new and current students. This scholarship is awarded for the summer and fall admission. This scholarship is for certified teachers. An additional scholarship application is required, along with two recommendation letters. Read More. Teaching Assistantship Teaching Assistantships will be awarded on a competitive basis. Research Assistantship Research Assistantships will be awarded on a competitive basis. The Guild Scholarship Deadline: April 1st! The Guild Committee awards scholarships to new and current students. This scholarship is awarded for the summer and fall admission. This scholarship is for certified teachers who will be getting a master’s in a specialization that keeps them in a classroom teaching. An additional scholarship application is required, along with two recommendation letters. Read More. ADELANTE Scholarship Project ADELANTE is a five-year project funded by the Office of English Language Acquisition in the U.S. Department of Education (Award #T365Z160177). Project ADELANTE provides partial tuition scholarships to help pre-service teachers or currently certified teachers earn bilingual education or ESL certification. Students applying to the Post-Baccalaureate certification, MEd in Curriculum & Instruction, or MEd in Bilingual Education, may be eligible. Non-degree seeking students who already hold a Texas educator certification may also be eligible if they have not earned bilingual or ESL certification. Apply today! ADELANTE Scholarship Project ADELANTE is a five-year project funded by the Office of English Language Acquisition in the U.S. Department of Education (Award #T365Z160177). Project ADELANTE provides partial tuition scholarships to help pre-service teachers or currently certified teachers earn bilingual education or ESL certification. Students applying to the Alternative Certification Program, MEd in Curriculum & Instruction, or MEd in Bilingual Education may be eligible. Non-degree seeking students who already hold a Texas educator certification may also be eligible if they have not earned bilingual or ESL certification. Apply today! Master of Arts in Apologetics Program Scholarship The Master of Arts in Apologetics program scholarships are awarded to outstanding applicants. To be eligible for scholarship consideration, applicants must submit a scholarship application and an essay. Scholarship recipients will be identified by the Scholarship Selection Committee. William Lane Craig Scholarship Deadline: April 1st! The William Lane Craig Scholarship is awarded to two (2) MA in Apologetics students per year to help with the cost of tuition. Both online and residential students are eligible for the scholarship. The applicant must maintain a 3.5 GPA and good standing within the Graduate School for the duration of the scholarship period (2 semesters) and take at least 5 units per semester. The scholarship will be disbursed over the course of 2 semesters, offering $500 per semester that will be applied to tuition. Merit Scholarship Deadline: April 1st! The MAA Merit Scholarship is awarded to the most academically talented applicant students in the Master of Arts in Apologetics program. Both online and residential students are eligible. The scholarships are awarded each Spring, to begin in the Fall semester. Students are eligible to apply once, in their first academic year. Read More. Hartman Hall Scholarship Deadline: April 1st! The Hartman Hall Scholarship is available to students who are participating in a missionary internship program, working with international or ethnic congregations in the Houston area. Two recommendations are required. Download the recommendation form. GRE Scholarship GRE scholarships are available to high achieving students. You must submit the scholarship application and your test score. Alumni Scholarship Alumni Scholarships are awarded to all applicants who have earned a previous degree from Houston Baptist University. Automatically awarded upon admission to the program. *You must still apply! Master of Biblical Languages Scholarship The Master of Arts in Biblical Languages program scholarships are awarded to outstanding applicants. To be eligible for scholarship consideration, applicants must submit a scholarship application and an essay. Scholarship recipients will be identified by the Scholarship Selection Committee. The Guild Scholarship Deadline: April 1st! The Guild Committee awards scholarships to new and current students. This scholarship is awarded for the summer and fall admission. Scholarship recipients are identified by the Guild Scholarship Selection Committee. An additional scholarship application is required, along with two recommendation letters. Read More. Baptist General Convention of Texas Scholarship BGCT scholarships are awarded to students who are active members of a church associated with the Baptist General Convention of Texas. Scholarships are $100 per credit hour for graduate students. Master of Arts in Christian Leadership Scholarship The Master of Arts in Christian Leadership program scholarships are awarded to outstanding applicants. To be eligible for scholarship consideration, applicants must submit a scholarship application and an essay. Scholarship recipients will be identified by the Scholarship Selection Committee. Bice Scholarship Deadline: April 1st! The Bice Scholarship is available to HBU alumni who are entering, or currently enrolled in, the HBU Master of Arts in Christian Leadership. Candidates will be selected and approved by the Director of Theological Graduate Programs, Dean of the School of Christian Thought, and the Provost. Two recommendations are required. Download the recommendation form. Riverside Scholarship Deadline: April 1st! The Riverside Scholarship is available to HBU alumni who are entering, or currently enrolled in, the HBU Master of Arts in Christian Leadership. Candidates will be selected and approved by the Director of Theological Graduate Programs, Dean of the School of Christian Thought, and the Provost. Two recommendations are required. Download the recommendation form. The Guild Scholarship Deadline: April 1st! The Guild Committee awards scholarships to new and current students. This scholarship is awarded for the summer and fall admission. Scholarship recipients are identified by the Guild Scholarship Selection Committee. Additional scholarship application required, along with two recommendation letters. Read More. Baptist General Convention of Texas Scholarship For students beginning in Fall 2019! BGCT scholarships are awarded to students who are active members of a church associated with the Baptist General Convention of Texas. Scholarships are $100 per credit hour for graduate students. MA in Classics & Early Christianity Scholarship The Master of Arts in Classics and Early Christianity program scholarships are awarded to outstanding applicants. To be eligible for scholarship consideration, applicants must submit a scholarship application and an essay. Scholarship recipients will be identified by the Scholarship Selection Committee. Master of Divinity Program Scholarship The Master of Divinity program scholarships are awarded to outstanding applicants. To be eligible for scholarship consideration, applicants must submit a scholarship application and an essay. Scholarship recipients will be identified by the Scholarship Selection Committee. Bice Scholarship Deadline: April 1st! 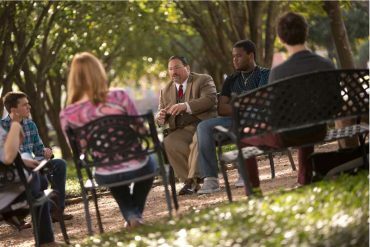 The Bice Scholarship is available to HBU alumni who are entering, or currently enrolled in, the HBU Master of Divinity. Candidates will be selected and approved by the Director of Theological Graduate Programs, Dean of the School of Christian Thought, and the Provost. Two recommendations are required. Download the recommendation form. Riverside Scholarship Deadline: April 1st! The Riverside Scholarship is available to HBU alumni who are entering, or currently enrolled in, the HBU Master of Divinity. Candidates will be selected and approved by the Director of Theological Graduate Programs, Dean of the School of Christian Thought, and the Provost. Two recommendations are required. Download the recommendation form. Baptist General Convention of Texas Scholarship BGCT scholarships are awarded to students who are active members of a church associated with the Baptist General Convention of Texas. Master of Theological Studies Scholarship The Master of Arts in Theological Studies program scholarships are awarded to outstanding applicants. To be eligible for scholarship consideration, applicants must submit a scholarship application and an essay. Scholarship recipients will be identified by the Scholarship Selection Committee. Philosophy Scholarship The Master of Arts in Philosophy program scholarships are awarded to outstanding applicants. To be eligible for scholarship consideration, applicants must submit a scholarship application and an essay. Scholarship recipients will be identified by the Scholarship Selection Committee. MLA Scholarships The Master of Liberal Arts program scholarships are awarded to outstanding applicants. To be eligible for scholarship consideration, applicants must submit a scholarship application and an essay. Scholarship recipients will be identified by the Scholarship Selection Committee. COEBS Scholarship Awarded to an outstanding current HBU undergraduate senior psychology student. Additional application and essay required. MFA Scholarships The Master of Fine Arts program scholarships are awarded to outstanding applicants. To be eligible for scholarship consideration, applicants must submit a scholarship application and an essay. Scholarship recipients will be identified by the Scholarship Selection Committee. Financial aid, simply defined, is money which helps students pay for their educational costs. Aid may be in the form of loans, grants, scholarships, employment opportunities, or a combination of all of these. 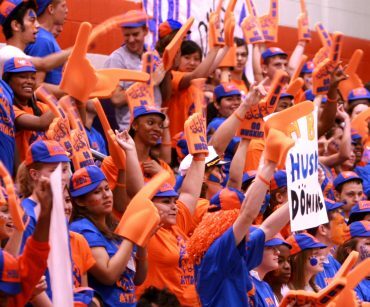 More than $30 million in such aid is awarded to HBU students annually. Although the primary responsibility for meeting postsecondary educational expense rests with students and their families, many families have limited resources and are unable to meet these costs. For this reason, several financial aid programs have been established to assist students who can establish need. April 1 is the preferred annual deadline to submit the Free Application for Federal Student Aid (FAFSA) to the federal processor. List the HBU school code number 003576 on your FAFSA. Electronic FAFSA filers must either print, sign, and mail the FAFSA signature page to the processor, or acquire a PIN number to sign the application electronically. You may acquire a PIN Number by going to the FAFSA website, and requesting your PIN Number. Submit all requested documents to the Financial Aid Office to complete your aid application. Documents must be received by the Financial Aid Office by April 1 to receive priority funding. The next academic year’s FAFSA may not be completed until January 15 immediately preceding that academic year at the earliest. You will be notified of the documents that are needed to complete your aid application. Financial aid is awarded on a first-come, first-served basis as funding permits. The amount of the student’s award is based on financial need, and annual limits as specified by program limits. Financial need is determined by completing the Free Application for Federal Student Aid annually.